Luka Modrić (born 9 September 1985) is a Croatian professional soccer who plays for Spanish club Real Madrid and captains the Croatia national team. Modrić plays mainly as a central midfielder but can also play as an attacking midfielder or as a defensive midfielder, usually deployed as a deep-lying playmaker. Born in Zadar, Modrić was signed by Dinamo Zagreb in 2002 after showing promise with his hometown club's youth team. He continued his development in Zagreb before spells on loan to Zrinjski Mostar and Inter Zaprešić. He made his debut for Dinamo in 2005 and won three consecutive league titles and domestic cups with them, being named the Prva HNL Player of the Year in 2007. In 2008, he moved to Premier League club Tottenham Hotspur, where he led the Spurs to their first UEFA Champions League appearance in almost 50 years, reaching the quarter-finals of the 2010-11 tournament. After the 2011-12 season, he moved to Real Madrid for a fee of Ł33 million, where he became a key contributor under coach Carlo Ancelotti and helped the team to win La Decima, being elected to the Squad of the Season. In 2016 and 2017, he won his second and third Champions League's with the squad and election to the Squad of the Season on both, as well as receiving the La Liga Award for the "Best Midfielder" in 2016 for the second time. Modrić made his debut for Croatia against Argentina in March 2006, and he has since participated in every major tournament that Croatia have qualified for, including the 2006 and the 2014 FIFA World Cup. He scored his first international goal in a friendly match against Italy. At the 2008 Euros, he was elected to the Team of the Tournament, becoming only the second Croatian to ever achieve this honour. Modrić is widely considered to be one of the best midfielders in the world. In 2015, he became the first Croatian player ever to be included in the FIFA World XI, in which he was included once again in 2016, as well in the UEFA Team of the Year in 2016. He has been named the Croatian Footballer of the Year five times, ranking behind only six-time winner Davor Šuker for most wins. Luka Modrić was born on 9 September 1985 and was raised in the hamlet of Modrići near Zaton Obrovački, a village close to Zadar in SR Croatia, then a republic within Yugoslavia. He is the oldest child of aeromechanic Stipe and textile worker Radojka. His childhood coincided with the Croatian War of Independence; in 1991 when the war escalated, his family were forced to flee the area. His father joined the Croatian Army. Modrić's grandfather Luka and six other elderly civilians were executed by Croatian Serb rebels in December 1991 in the village of Jesenice. 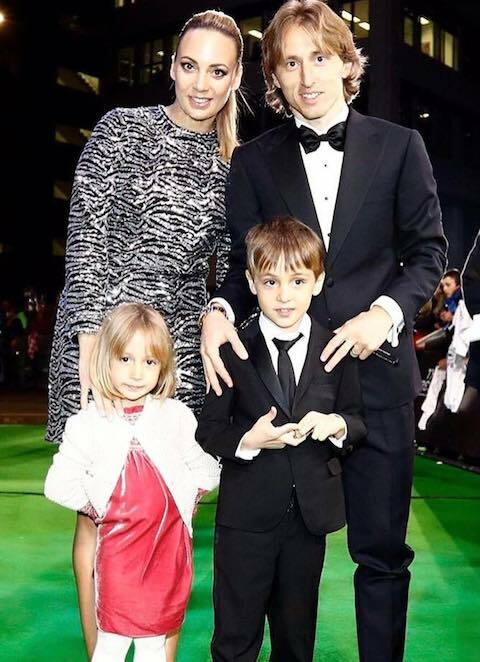 Modrić became a refugee and lived with his family in the Hotel Kolovare for seven years, later moved to the Hotel Iž, in Zadar. In those years thousands of grenades fell on the city and football was a way to escape the reality. He has said he was mostly unaware of the war because he befriended many other children and their parents did not let it affect their childhoods. In these difficult circumstances, Modrić began playing football, mostly at the hotel parking lot. 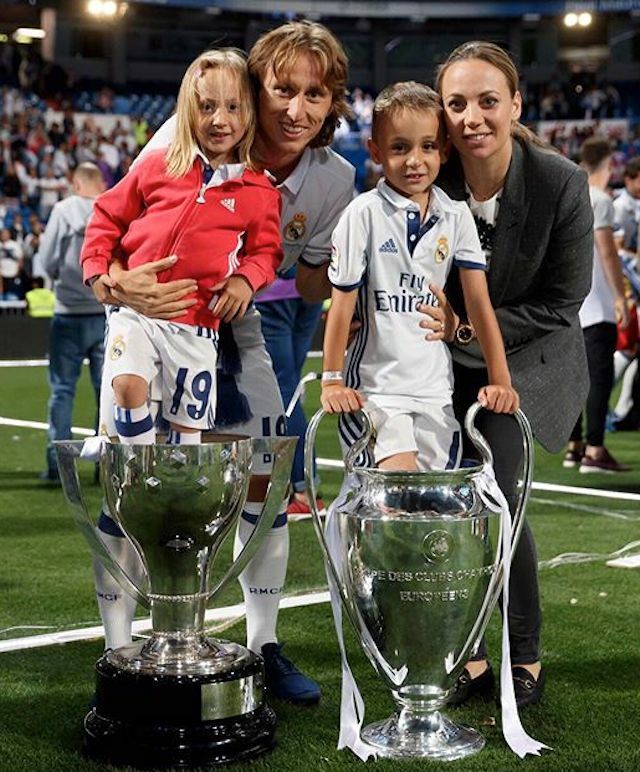 In 1992, he simultaneously entered the primary school and a sporting academy, the latter paid for with the little money the family had, sometimes helped by Modrić's uncle. Supported by his family, he participated in representative camps and trained in NK Zadar.